Why we need to crop video for MAC? MAC generally refers to the media developed by Apple Inc.. As the MAC devices have been taking a big part in the market and expanding, such as iPhone, iPod and iPad, it has became a problem of great importance to transfer and share videos between MAC and other media. Because there are so many media devices, including those for MAC, with different screen resolution and supported software, we have to crop the videos and convert the format when we share them, enjoy them and edit them. idoo Video Editor can help you easily crop video for MAC. 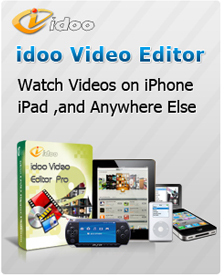 Why idoo Video Editor is the easiest video cropper? 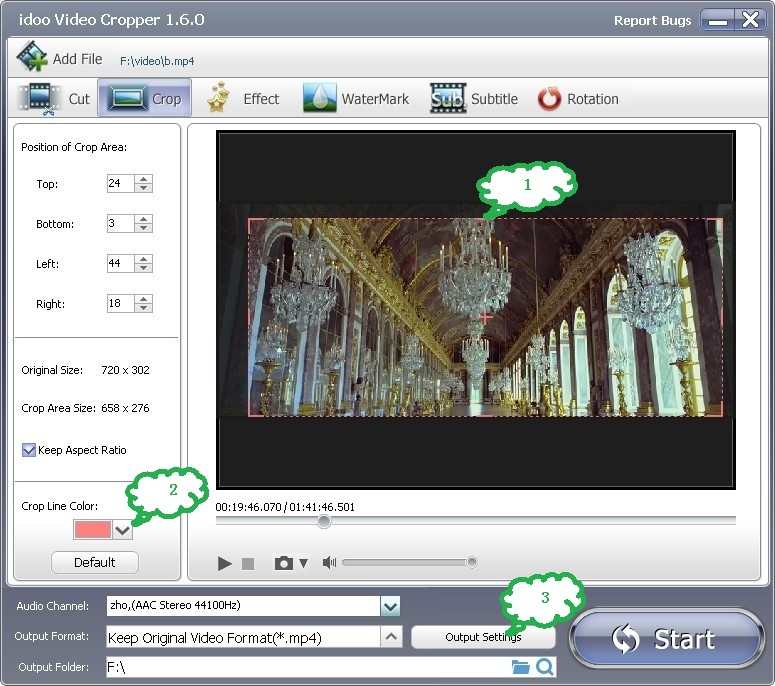 On one hand, idoo Video Editor isolated Copper function from the others, and the users can find it at the first glance when open this software, even the beginners. However, those similar software are more complicated in function settings, which may cost time to find out the one we want. On the other hand, Cropper function integrated the format conversion. The video can be converted into formats for MAC as being cropped. And idoo Video Editor has been keeping on updating and improving, to ensure that it keeps pace with the development of MAC and other media. 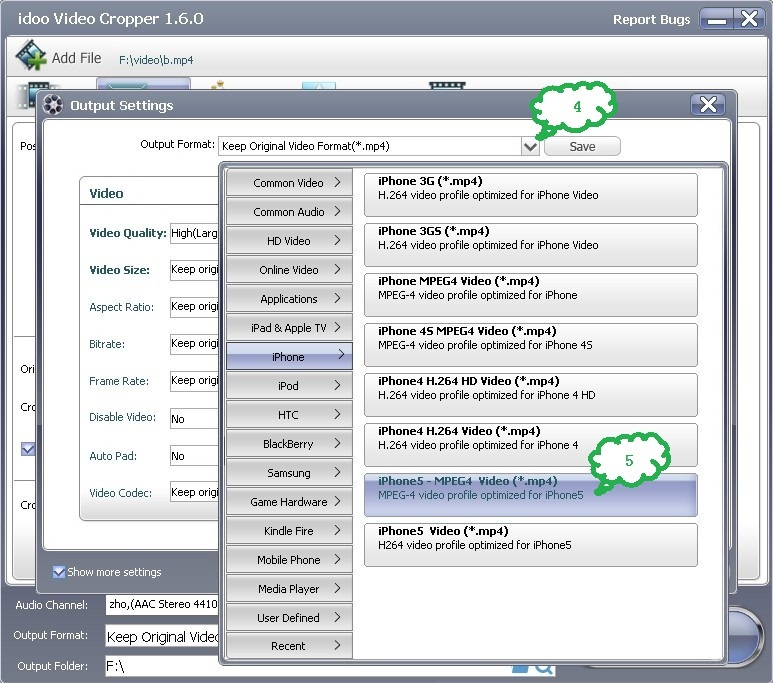 The following part will show you how to crop video for iPhone5. A. Drag the crop line (Tag1) to adjust the position of the crop area. You may click the drag-down list (Tag2) to select the crop line color, and you may also defined your own color. Then click “Output Settings” (Tag3). B. Click the drag-down list of “Output Format” (Tag4) and select file format for iPhone5 (Tag5) from it. Then you can crop your video and convert it into format for iPhone5.